A Virtual Communications Command Center, the CinemaVision controller manages entertainment choices for both the patient and technologist, enables two-way communictions with patients, and much more. Ultra-Sleek and Comfortable, CinemaVision's integrated audio-video headset delivers top-quality entertainment while fitting easily within the headcoil. Transforming the patient's MRI experience, CinemaVision is a convenient, versatile and user-friendly 3D virtual reality system. It provides multiple entertainment options from standard video, television and PC input, while offering two-way communication with technologists and dramatically reducing MRI gradient noise. The head-mounted display fits completely within the head coil and operates inside the magnet bore with no detrimental effects on your magnet. Delivering unparalleled quality and realism, CinemaVision combines state-of-the-art, fully digital video and symphonic quality digital audio. Offering an unprecedented field-of-view, the CinemaVision experience is similar to watching a high-resolution 62-inch screen from 5 ? feet away. 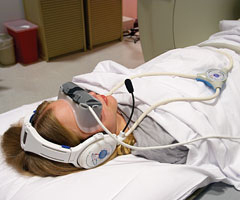 Eliminate appointment cancellations and sedation as patients enjoy a stunning sight and sound experience. Offering the ultimate in patient ease is a sleek new lightweight, adjustable, integrated audio-video headset. With Laser Link technology, installation is just a matter of minutes. No additional cables or filters are necessary. Patient set-up also is a breeze. Treat your patients to the highest quality multi-media experience that others can't match, and enjoy a host of top-of-the-line technologies. 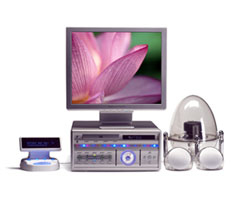 Widescreen video display with a 16:9 aspect ratio or standard television 4:3. Head mounting that produces the equivalent of a dramatic 62-inch screen viewed from a 5 1/2 foot distance. Proprietary cordless Laser Link technology that transmits audio-video signal from the console to the magnet room. 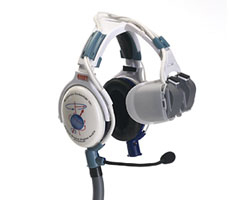 Digital audio system with 30 dB noise-attenuating headset with 40Hz to 40 kHz. frequency response. Compatibility with 3T-rated field strength magnets, ensuring compatibility with all state-of-the-art MRIs.